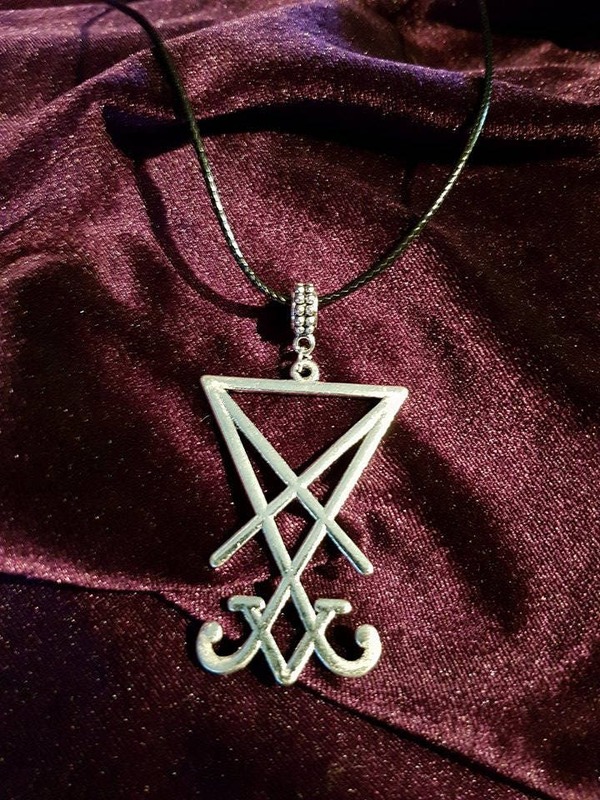 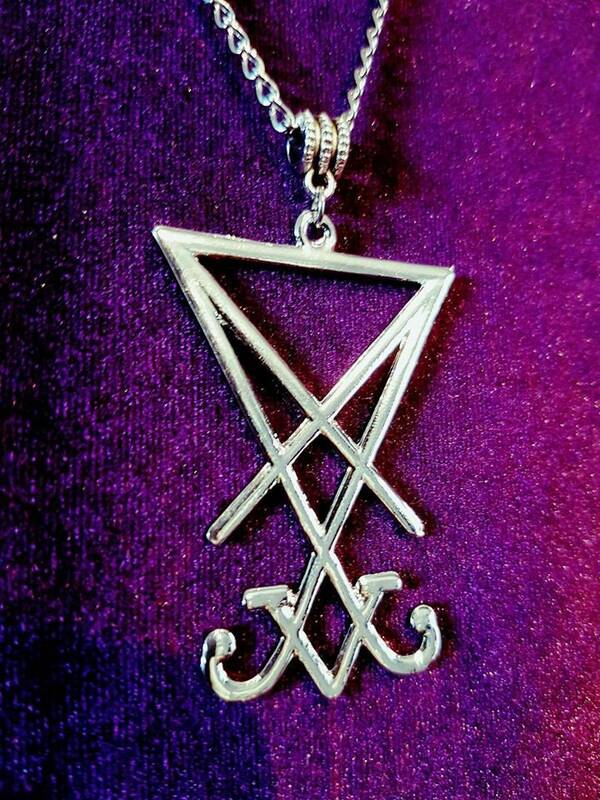 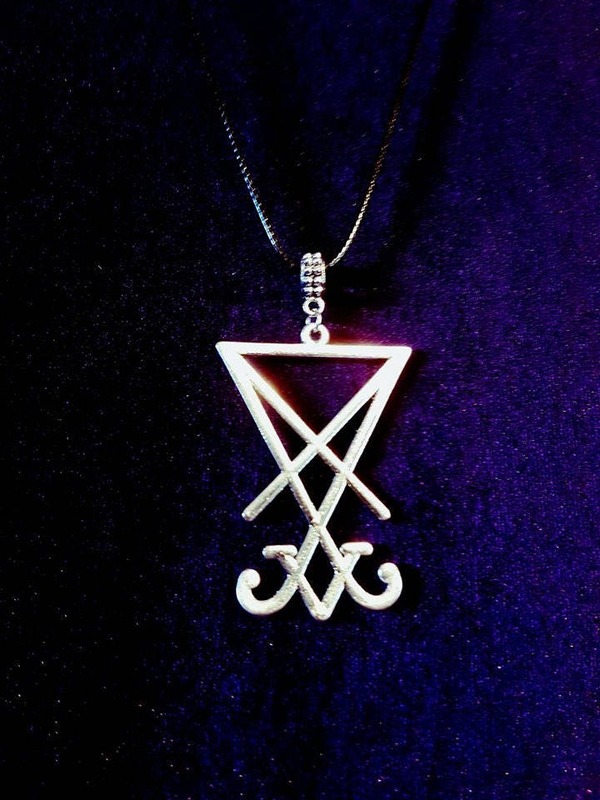 - 5cm big high quality sigil of lucifer. 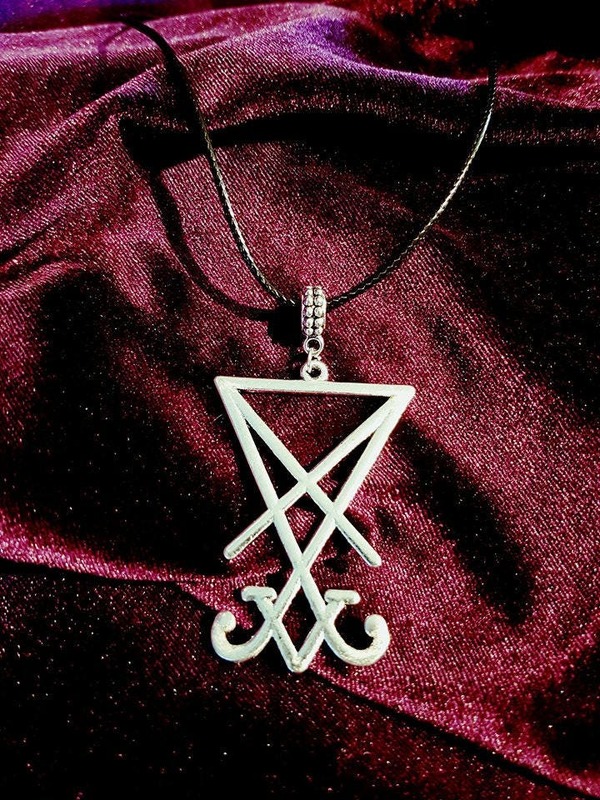 - 45cm long black waxcord + 5 cm extension chain to adjust to your size. 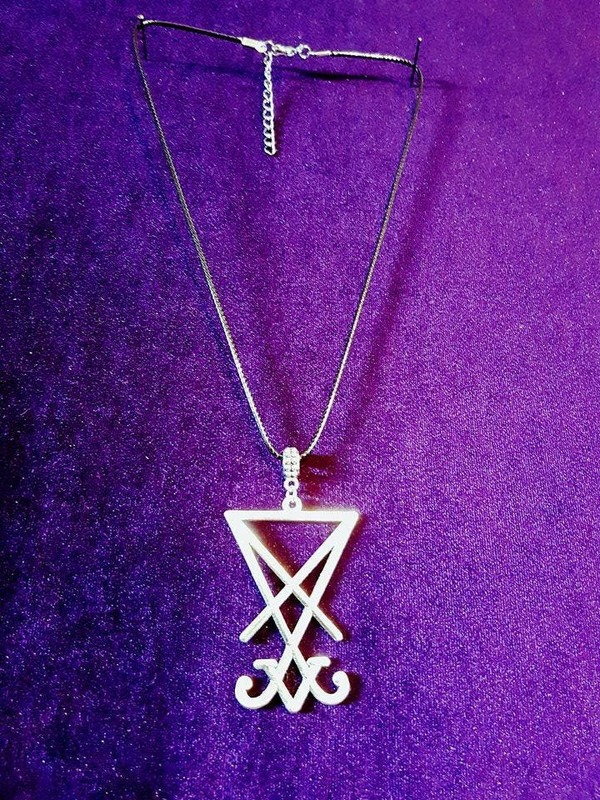 - 50 cm long chain. 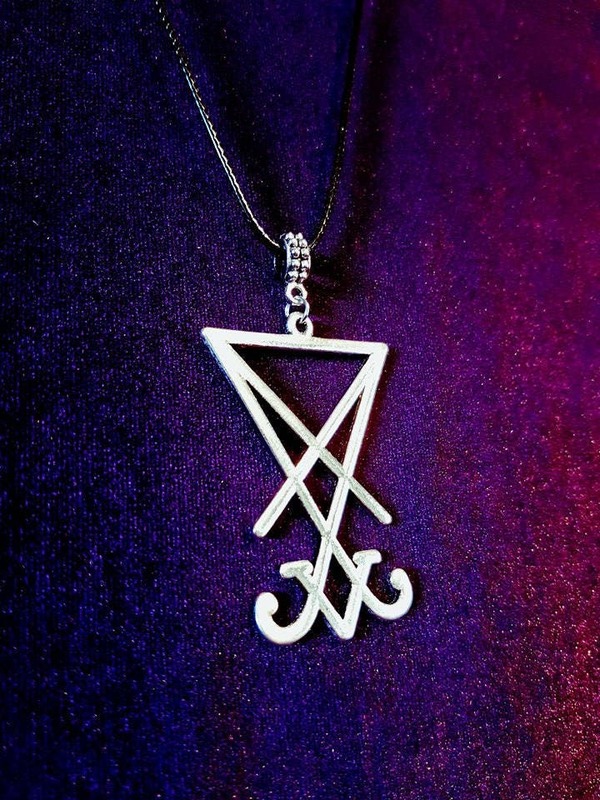 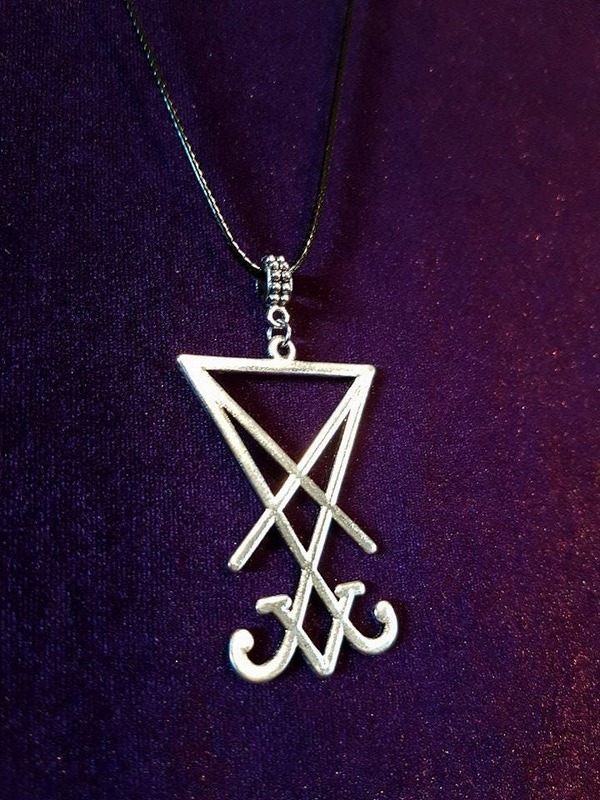 Rhodium Sigil or Silver colour sigil.